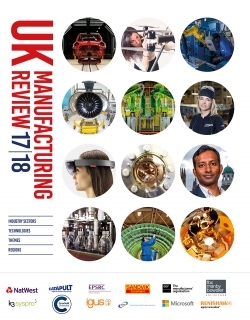 The 3rd edition of the UK Manufacturing Review 2017/18 (UKMR) has been published. Over 240 pages it summarises the strengths, weaknesses and diversity of Britain’s manufacturing industry, divided into sectors, regions, technologies and themes. Forecasts for 2018 by sector and region are also provided. The sector had a bumper 2017, with growth in every quarter recorded for the first time in a decade. Falling apprenticeship starts and brewing recruitment crises from the excess demand of a high volume of factory investments and falling foreign labour supply induced by Brexit are big challenges for parts of manufacturing in 2018 and beyond. Manufacturing output powered ahead in 2017 with several records broken. ONS figures showed #mfg expanded for six consecutive months by October, the longest run of growth in 20-years. The Markit/CIPS manufacturing PMI, a measure of orders and confidence, remained above 50 (positive) for the whole of 2017, with seven months over 55 and reaching a high of 58.2 in November, slipping to 56.3 in December. Output and orders increased in every quarter for the first time in a decade. 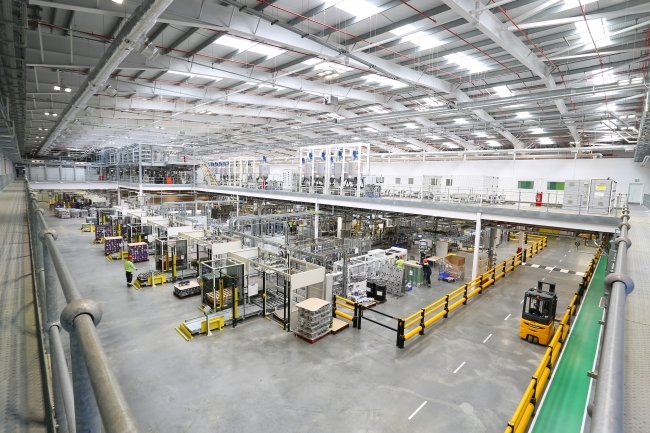 By July 2017, the UKMR team recorded more than 200 significant factory investments, i.e those over £10 million, rising to Toyota’s £240m in its Burnaston car plant and covering firms from food giant Mondelez, Boeing, Costa Coffee, Meggitt and Specsavers to regional investment like £100m in the Welsh Tech Valleys project and £65m in a National Manufacturing Institute for Scotland. There appeared to be a tangible “Brexit bounce” in manufacturing but few of the new factory investments in H1 2017 can genuinely be attributed to the Brexit decision. BMW thwarted early fears of European Brexit revenge when it announced in June it would build the new electric MINI in Oxford rather than Munich, as had been feared. Automotive production slipped in 2017. New car registrations fell 5.7% in 2017. Output fell 2.2% in the first three quarters of 2017 to 1,259,509 cars. September was the fifth consecutive month of decline. The industry lost the European Medicines Agency headquarters, moving from London to Amsterdam with the loss of c. 1,000 jobs and the kudos of being here. This was offset by several investments: GSK £140 million across its UK mfg facilities. Merck Sharp & Dome will build a research centre in London creating 150 new jobs, with another 800 if it relocates its UK headquarters here. Novo Nordisk is investing £115m in a research centre in Oxford and Astra Zeneca in a new Cambridge HQ. Boeing’s row with Bombardier over import tariffs into the US threatened 4,000 jobs in at Bombardier in Belfast. 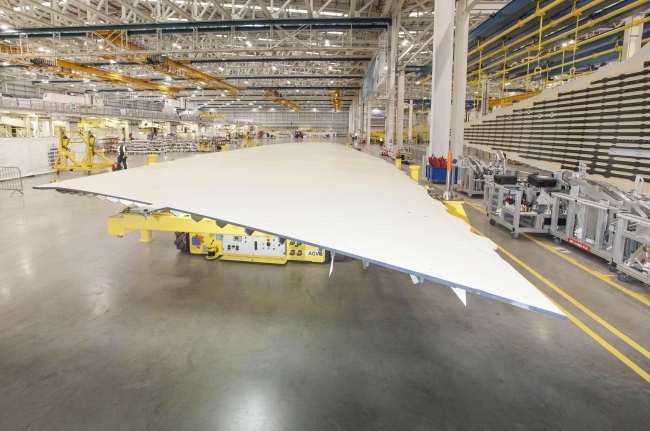 Airbus stepped in with a JV offer to help produce the Canadian company’s troubled C-Series programme, helping to keep jobs in Belfast safe for now. Food & drink had a strong 2017 but the sector is already feeling negatively effects of Brexit. Fewer European workers are moving to the UK to work in picking, packing and manufacturing jobs. If current rates continue the sector faces a recruitment crisis this summer. Many firms reported that the low pound has helped increase sales and exports, while also increasing the cost of raw materials. The plastics industry, where most polymer feedstock comes from Europe, is especially affected by higher € prices. Factory growth in 2017 was nearly twice the rate of service firms, The Telegraph reported in January. The UK became the world’s no. 1 country for making specialist cars in 2017. Niche sectors, from hovercrafts and super yachts to mini nuclear fusion reactors and subsea robots, are performing well in Britain – the number of niche specialist manufacturers to the total no. of mfg companies in UK is high for Europe. This was all “in spite of Brexit” and a new patriotic fervour for manufacturing emerged in 2017, especially on social media, supporting “Made in Britain” and British company investment. A resurgent UK textiles industry emerged, with cotton weavers and dyers returning to Lancashire, reshoring manufacturing from overseas and with several clothing start-ups in 2016 and 2017. 2018 is “The Year of Engineering”, a government-led campaign to promote careers in the sector. The body EngineeringUK says Britain needs another 1.8 million people with technical skills by 2025, just seven years away. Against this positive backstory, the launch of the Apprenticeship Levy in April – a tax on training – had directly or indirectly the effect of nearly 6% fall in apprenticeship starts in manufacturing and engineering. (Across the whole economy, from May to July 2017 – straight after the Levy – total apprenticeship starts fell by 59%, from 117,000 in 2016 to 48,000). The run on factory investment in 2017 looks great for growth and rebalancing but has a dark side: where will these people come from? To populate a new factory with 100 or 200 new jobs, especially outside a big conurbation, requires taking jobs from other companies. On this scale it almost certainly will be damaging to smaller companies that will lose employees they have spent months or years training. 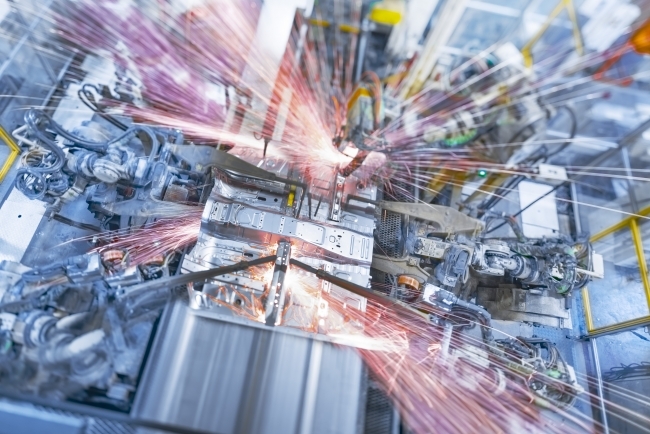 Training: Manufacturing employers think that the Dept for Business Energy & Industrial Strategy and Dept for Education are at odds with each other. One is pushing apprenticeships (with a 3m target by 2020), the other is pushing A levels and degrees, which currently encourages youngsters to steer clear of apprenticeships. A no deal Brexit would be the worst possible outcome for the UK automotive industry. The Industrial Strategy, described as a “good start” by Siemens’ CEO Juergen Maier, has met a fairly lukewarm reception from industry. It needs more detail on how it will be delivered and fuller accountability. With digitalisation, the UK is struggling to understand how to balance more job automation with sustaining near-full employment. Lobbyists say automation and digital manufacturing will create jobs, but many workers want to do certain jobs in factories and are not suited to the higher skilled, “softer” jobs that automation will create. 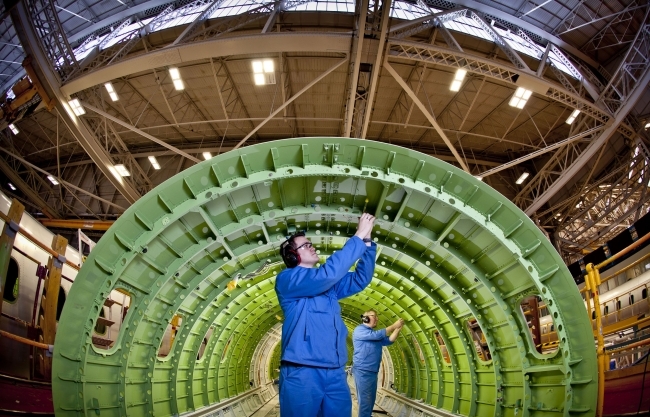 Senior engineers believe Brexit will widen the engineering skills crisis.